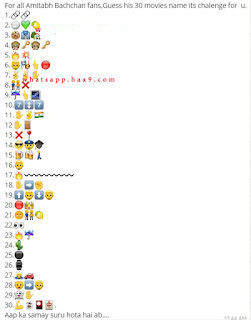 Guess Amitabh Bachchan 30 movies names from the given Whatsapp Emoji / Smileys / Symbols and give your answers in the comments. Guess his 30 movies name. Its chalenge for u.